See Through Dresses at Maha Music Festival in 2016. The band had an album release show Saturday night at The Waiting Room. 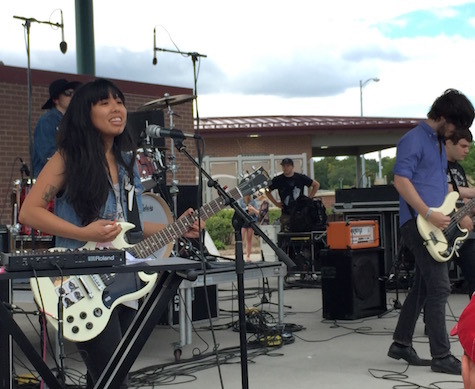 It’s a busy weekend of shows as far as local band releases are concerned. It kicks off tonight with a duo release show at Reverb Lounge featuring David Nance and Noah Sterba. 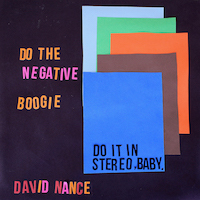 Nance’s new album, Negative Boogie, out today on Ba Da Bing Records, is among my favorites so far this year — a tight, gritty collection of blues rock songs straight out of the garage (or basement), straight to a studio and straight to your heart. The closest comparison I can come to Nance’s intensity is ’90s-era Jon Spencer Blues Explosion, though Nance’s music sounds nothing like it. Nance already has attracted national attention. After this record and subsequent touring, expect him to jump to the next level. 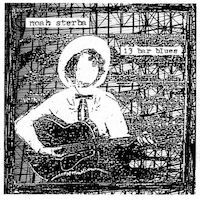 Then there’s the release today of Noah Sterba’s 13-Bar Blues on Simon Joyner’s Grapefruit Records label. This is a re-working of his 12-Bar Blues cassette that came out in 2015 on Unread Records, weeding out the covers and adding a few new ones. Sterba sits in the rarified company of Joyner and Oberst when it comes to turning a golden phrase; his lyrics are central to these bluesy folk-rock tunes. Who else could imaging building a house of out porkchops and eating his way out? The album concludes with a 16-plus-minute opus that features Sterba spitting out a manifesto of sorts over jangly garage blues chords. Both Nance and Sterba and their bands perform tonight at Reverb Lounge. Joining them is the inimitable Sean Pratt & The Sweats. $7, 9 p.m.
Also tonight, alt country-folk band Clarence Tilton headlines The Waiting Room with Excellency and Sack of Lions. $8, 9 p.m.
Then Saturday night is the album release show for See Through Dresses latest, Horse of the Other World (Tiny Engines), at The Waiting Room. The record is something of a breakthrough for a band who in the past too often sounded like a reincarnation of ’90s college rock a la Dinosaur Jr. 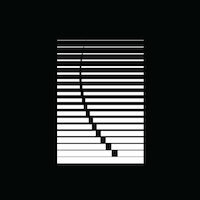 They come to their own with this album, creating a sound that combines post-punk shimmer with classic dream-pop drone for an end-product reminiscent of Saturdays = Youth-era M83 or early New Order. Opening is Fullbloods and Bokr Tov. $8, 9 p.m.
Also Saturday night, LA four-piece Froth (Burger, Wichita, Lollipop) plays at Milk Run. On their new album, Outside (briefly) (2017, Wichita), they reinvent their sound in solid dream-pop fashion. So much so, the band goes on tour with Ride following this show. Sam Martin opens. $10, 9 p.m.